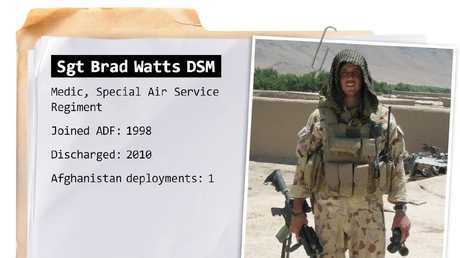 Medic Brad Watts spent 12 years in the military, deploying to Afghanistan in 2006. THE smell of blood still lingers for Sergeant Brad Watts, one of the many remaining memories of his tour of Afghanistan. 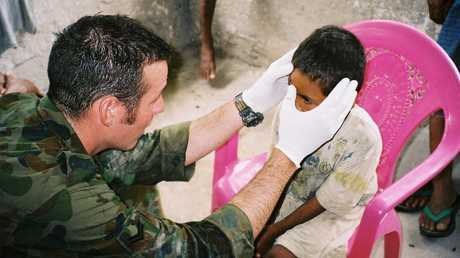 The combat medic spent 12 years in the military in a variety of units including six years with the Special Air Service Regiment which he deployed to the Middle East with. 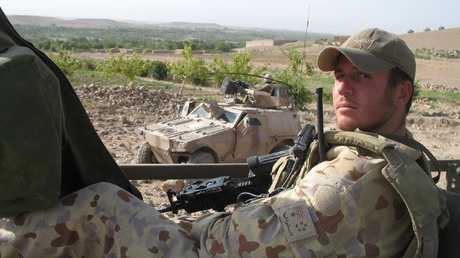 Watts sat down with The Daily Telegraph for an extensive chat during filming for the Voodoo Medics investigation and described joining the SASR as a "huge cultural shock". 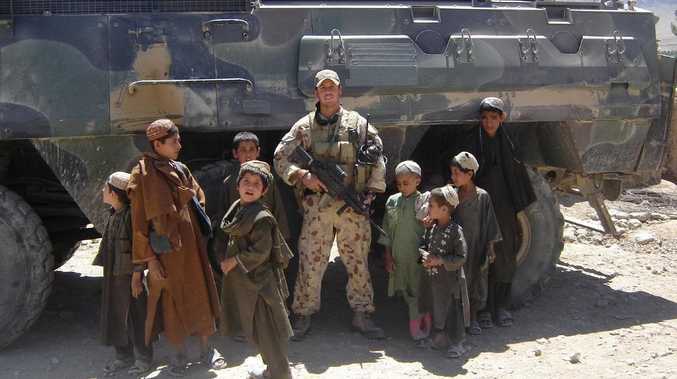 During his 2006 tour, Watts treated dozens of casualties including Afghan civilians and quickly realised he needed to work around cultural barriers. "We weren't allowed to treat women unless we had their husband's consent," Watts said. "In fact if you touched a woman at the wrong time they could be honour killed". Watts, who was the first medic to receive a Distinguished Service Medal, said trying to perform the medic role while respecting Afghan culture could be confronting. "You want to help everyone at all times … there were ways and means to get around it but you had to be very, very careful about what you did". Once during an Aeromedical Evacuation (AME) mission Watts was called out to a Forward Operating Base to treat a pregnant woman who was fitting and in labour. "We had a hooded husband thrown into the back of the helicopter with us as well," he said. "We first checked him for security to make sure it was OK, as obviously I was about to start touching his wife". When the aircraft landed at the multinational base at Tarin Kowt the woman underwent an emergency cesarean and it was quickly discovered she was carrying twin girls. The trio didn't survive surgery. Watts spent six years as a medic in the Special Air Service Regiment. "There was a lot of blood around a lot of the incidents and that metallic smell, once you've smelt it, it never leaves you," Watts said. Despite seeing "little kids and family units destroyed", the decorated medic is pushing back against the veteran victim mentality. "We're not victims," he said. "We've been through traumatic experiences and we've had some of the best and worst moments of our lives all rolled into one. "The sooner we get past the whole thing of the world owes us something for doing that, the better we will be." Watts was the first medic to receive a Distinguished Service Medal. News Solemn ceremonies honour sacrifices made at war. See the times and locations here. News Paramedics worked to revive an elderly driver in one vehicle. News The order of the ballot has been drawn.